In the video, a group of men, including the customer, are also seen throwing things at the vendor. A man in Maharashtra's Ulhasnagar suffered serious burns after a Chinese food stall owner flung scalding oil at him, police said. 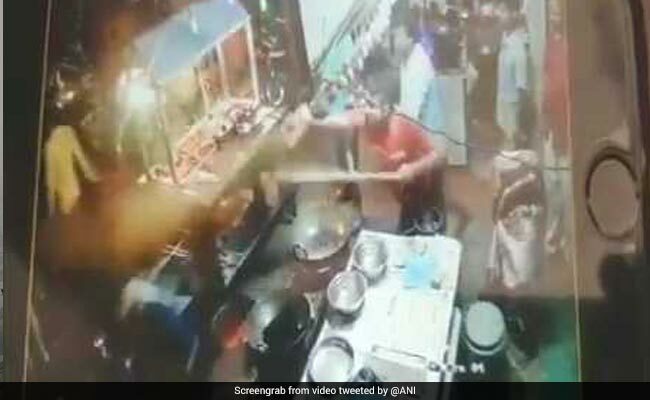 A video of the incident obtained by the police shows the vendor filling a water jug with hot oil from a wok and chasing the man before hurling it at him. He comes back, refills it and goes after the customer. He repeats the cycle at least thrice. The man had apparently complained about the food which infuriated the food stall owner. An argument broke out between the two following which the customer reportedly vandalised the stall and broke furniture. In the video, a group of men, including the customer, are also seen throwing things at the vendor. In retaliation, the vendor attacked them with hot oil. Soon after the incident, the man called his brother who rushed him to a nearby hospital. His friend also suffered injuries. A complaint has been filed and the police have arrested the vendor, a senior police officer said. However, the vendor filed a counter-complaint accusing the man of vandalising his stall and abusing the staff.